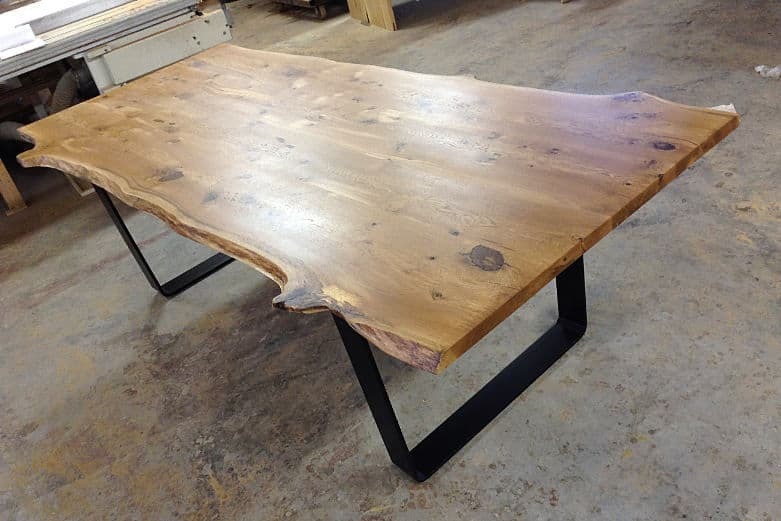 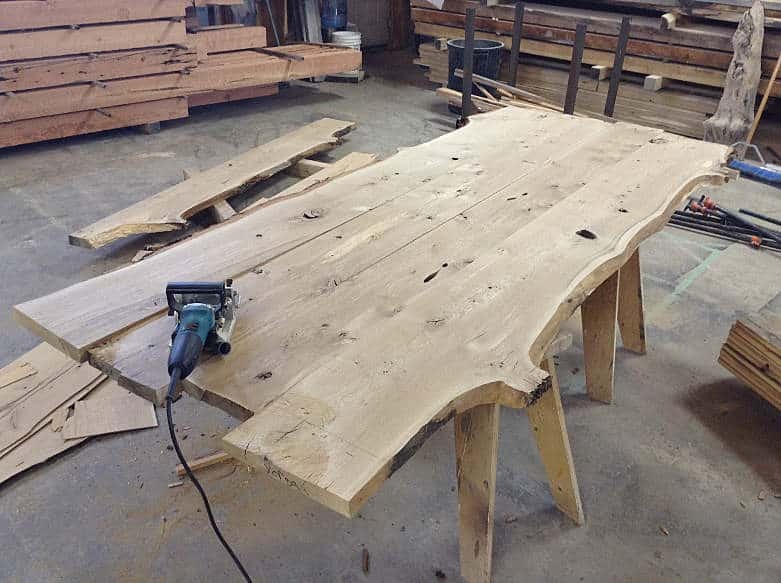 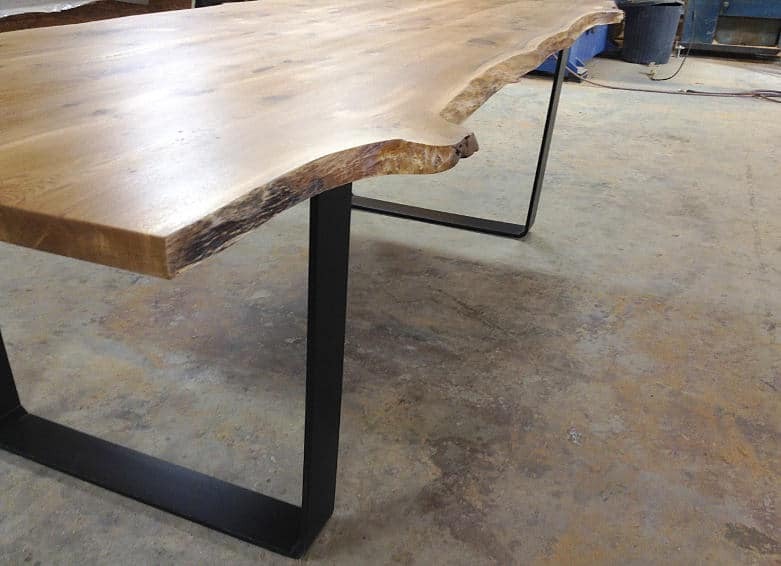 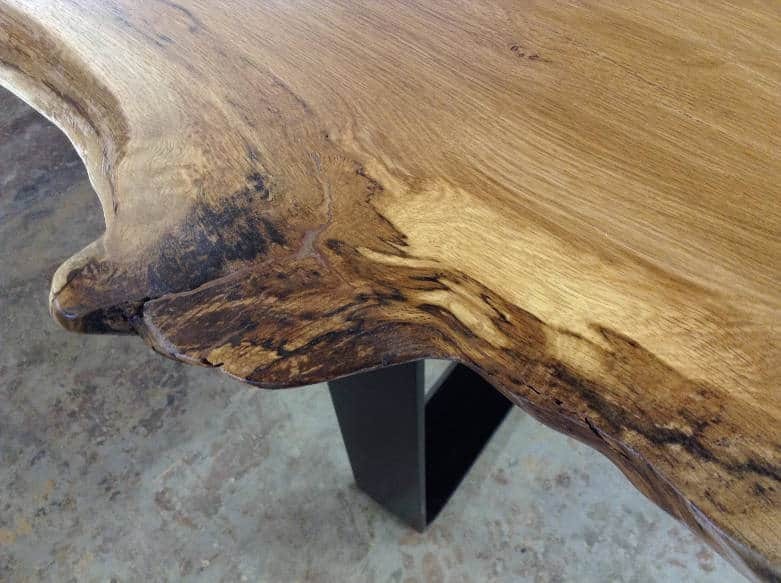 This live edge table displays the beauty in our Manitoba Oak. 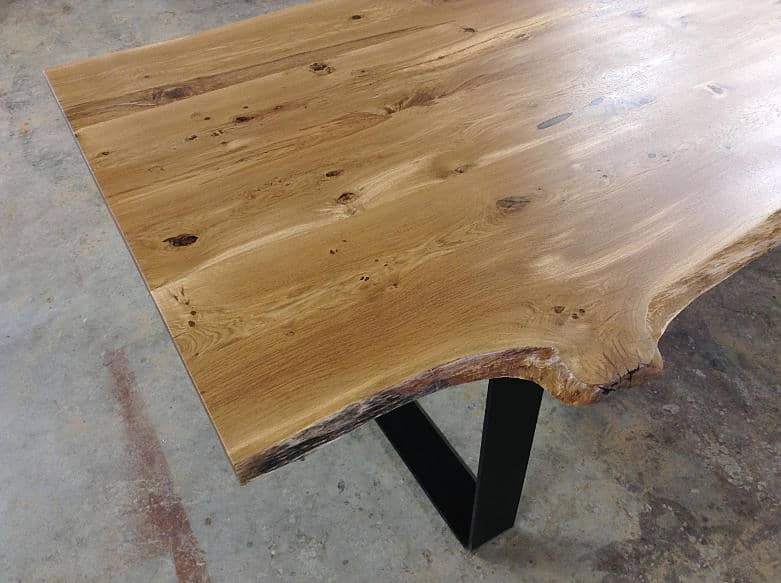 The customer wanted lots of dramatic features with the tables natural edges all further defined by Oaks beautiful knots and grain. 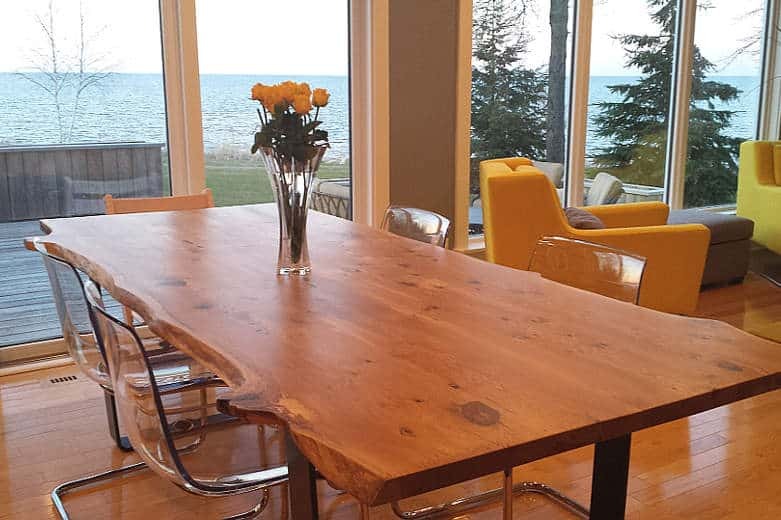 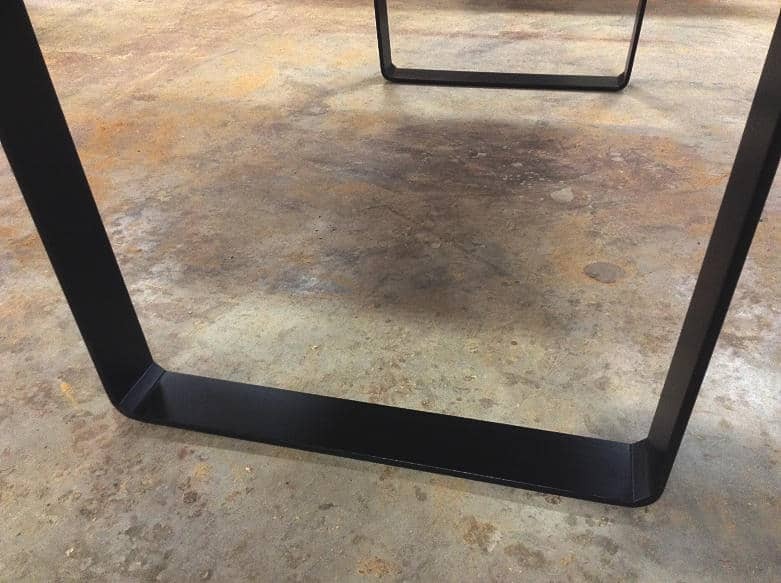 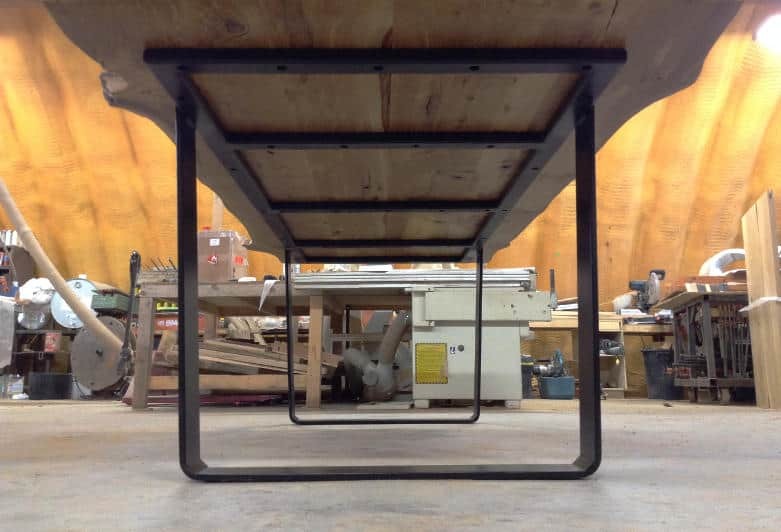 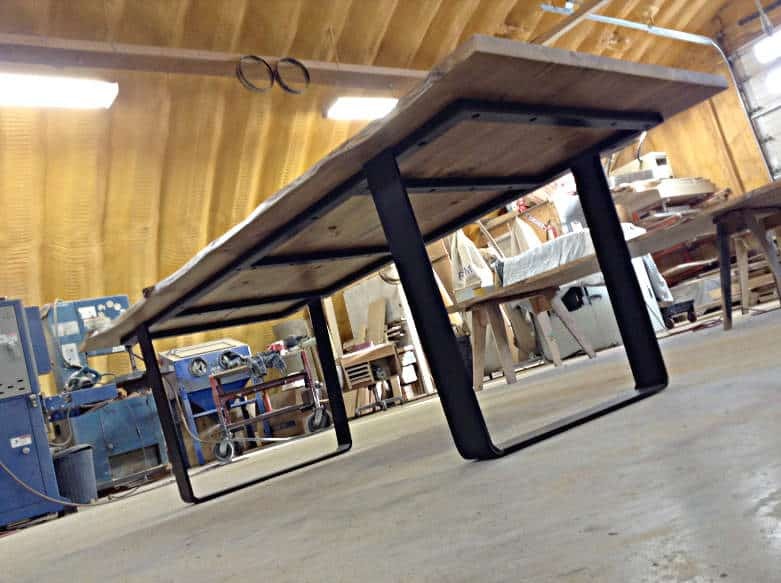 8′ x 40″ x 1.5″ reclaimed live edge Oak tabletop, natural colour, finished with OSMO Hardwax Polyx Oil, with raw black flat bar steel rectangular legs with steel under structure. 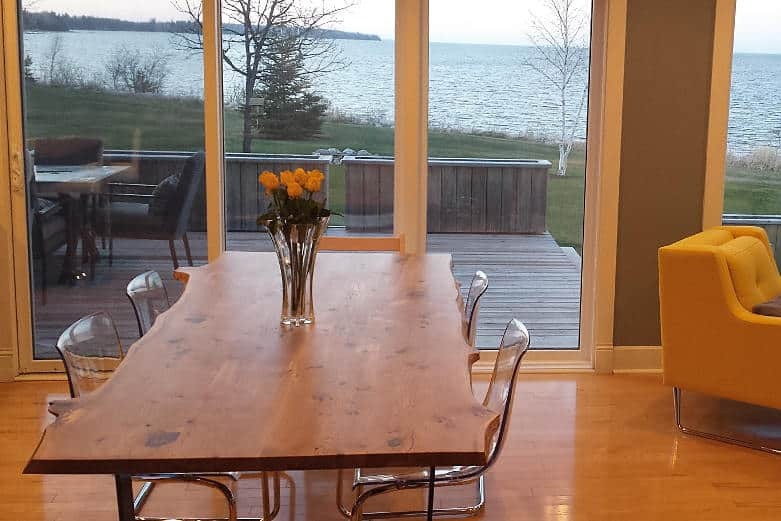 Photo credit: Images 1 & 2 via customer.